It is challenging for many people to accept a loss of control as their independence gradually declines. Based on this loss of control, many become anxious, demanding, or resistant. This creates a new set of challenges for the caregiver. Being on one end of the spectrum means you're caring for someone day in and day out. This is most certainly stressful, however, it's important to remember that there's also the other end of the spectrum, the individual who is receiving care. It is challenging for many people to accept a loss of control as their independence gradually declines. Based on this loss of control, many become anxious, demanding, or resistant. This creates a new set of challenges for the caregiver. 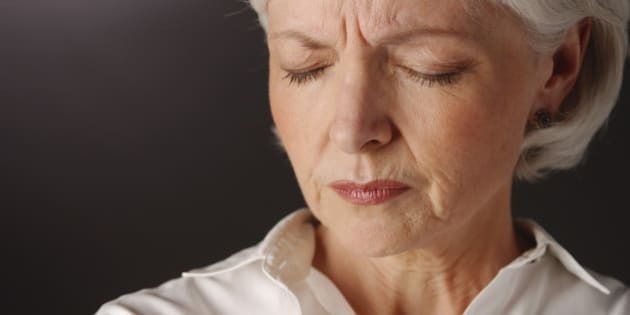 Although frustration and helplessness can create a demanding and even angry recipient of care, there are also various health conditions that can cause changes to one's personality. If you have noticed that your loved one's emotional state or behaviours have changed, you're not alone. It's critical that you learn new coping mechanisms and strategies in order to maintain a healthy relationship. When your relationship is more stable, you will provide better care and personally feel less stressed. If you're a caregiver, then you're aware that you cannot always control your loved one's behaviour. With that being said, you can control your reaction to their behaviour. This can be tough, however, it's important to focus on the behaviour itself. Don't continually blame behaviours on your loved one's personality, especially if difficult behaviours are due to a medical condition. Separating behaviours from your loved one's personality is important when learning to cope. In most cases, it is nothing personal and you should not blame yourself. You're already taking the right steps to try and better your current situation. Not all strategies will work for your unique situation but implement as many of the following tips that could possibly help. • Do not downplay your loved one's feelings. To you, they may seem irrational and irritable but to them, they're feeling lost. Does your dad fly off the handle if you put too much cream in his coffee? When losing control over his independence, he may feel desperate, wanting to maintain some level of control. For some, this comes out in terms of petty or demanding behaviours. Assess how your loved one is the majority of time. Are these little fits of aggression isolated incidents? Look for signs that they're struggling to adjust and address those specific incidents. • Think about the hypothetical coffee incident I just mentioned. You may be tempted to say, it's not a big deal. Although you may be right, don't challenge their feelings. Instead, say something like, you seem really upset and frustrated, what would make it better next time? Stay calm and learn from the situation. Ask if there's anything they'd like to talk about in terms of their budding anger or sadness. Keeping communication open is critical. •Focus on areas you agree upon and then work on areas where you don't. The last thing you want is to be butting heads all the time. This will only cause a rapid progression of stress and negative feelings. Continually focus on areas where you agree, while making an effort to strengthen areas where you seem to disagree. Also, pick your battles. Perhaps you are overly demanding as well, giving them orders regarding resting, the way they move, or what they're eating. Focus on the things that are truly important and learn to let some things go. • Even if your loved one can't care for themselves, make sure you allow them to stay involved. This is very important as it will not make them feel as isolated. Give them choices throughout the day so that they can make some decisions for themselves. This could be as simple as providing choices for breakfast or asking them what time they would prefer their bath. Flexibility can really help a potentially tense situation. • Look for patterns in terms of their behaviour. Have you noticed that outbursts are more common at a certain time of day? Do you find that your loved one is more irritable on days when you're stressed? Look for patterns and be aware of what certain triggers could be. Once you identify these triggers, you could avoid a situation before it even begins. • If a situation becomes elevated, sometimes it's best to just step away for a moment. You do not need to ignore the situation, but taking some deep breaths can help take the situation down a few levels. Screaming at one another will not do anything but cause distress. Walk away, practice deep breathing, count to ten, whatever works for you. Then, come back and assess the situation, talking in an appropriate manner. • If your loved one suffers from anxiety, then it's important to identify what triggers their anxious thoughts and behaviors. For some, it's too much caffeine. For others, it's a certain topic of conversation that creates feelings of anxiety. Reassurances and gentle touch are both great solutions. Even if it's obvious to you, make them feel as though everything is under control. Lightly pat their back or hold their hand, making them feel safer and less anxious. If your loved one is displaying behaviours that threaten their safety or wellbeing, it's important to speak with their doctor immediately. As mentioned, there are various cognitive disorders and medical conditions that can cause changes to occur. If your loved one suffers from dementia, for example, educate yourself. The more you know about the disease, the better you will be able to plan ahead and cope with new symptoms. If you find that you cannot provide the type of care needed, then there are plenty of care options available to assist you.